Zhong's Restaurant offers delicious Mandarin, spicy Szechuan and mouth-watering Cantonese cuisine in a casual, comfortable setting. Come join us for lunch or dinner! 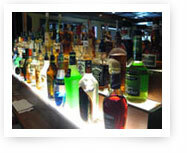 Featuring a newly-expanded cocktail lounge with 3 flat-screen TVs and draft beers on tap. 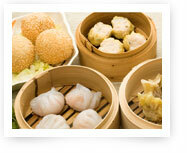 Literally translated as 'to point to the heart's desire,' dim sum is like Chinese brunch. Sample savory and sweet morsels Saturday, Sunday & Monday from 11:30am to 3pm. We deliver! Please click for more information. © Zhong's Restaurant. All Rights Reserved.